What is the primary language spoken in Montreal? | Cafe Arjun - 15 times WordPress Top Blog! What is the primary language spoken in Montreal? 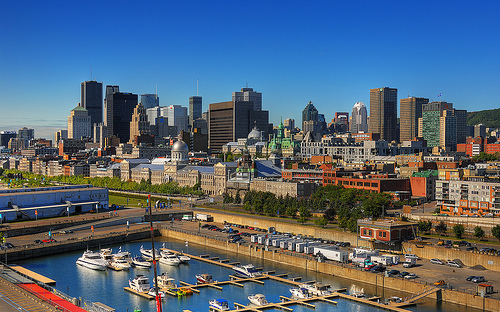 Montreal is second largest city in Canada and in the top 5 french speaking cities of the world. Montreal is the 10th most clean city in the world according to a 2007 Forbes study. Montreal is one of the 25 most livable places on earth. The three greatest colonial empires – Britain, Spain and France shaped the demographics of earth between 15th and 19th centuries. Whatever these powers controlled, still bears their influence. Have a look at the French colonial map and you’ll know why French is the dominant language in Montreal, Quebec, Canada. Tags : montreal language, montreal quebec canada, What is the official language of Montreal, What is the primary language spoken in Montreal? ← Which arrondissement in Paris holds the park named after the Campus Martius of Rome? What?? I thought the answer was Canadian!!!! Yes Montreal is beautiful and I am fortunate to live there. I was surprised that it’s the 10th cleanest city in the World, because I find that this past decade Montreal has become dirtier! i dont speak french will i still be able to navigate Montreal on my own? Maybe, I didn’t know French before this past August…. I was able to somewhat understand my way around… I advise taking a French to English dictionary with you or take someone that knows French and English. As much as Montreal is home through and through (being born and raised in another continent), the city has become decidedly dirtier in the last couple of years; something our mayor has attempted to crack down upon. However, it is interesting to see one’s home from the perspective of others and to re-discover it, if you will. Montreal fait parti de la province du Quebec, et le Quebec parle Francais. the native language is French well spoken all over the province. 70% of the perople in Montreal speak French. Is the primary language English in Montreal, because most of Canada speaks English? Is English spoken in their school system in Montreal? Placing French as the answer seemed obvious, so I would like to know why my answer is wrong?!? I visited Montreal not too many years ago. An absolutely beautiful city. You can see the French architectural influences particularly in the older section. The entire province of Quebec primarily speaks French. We are a bilingual city, folks.